If you do business mostly in your town, your marketing efforts must be hyper focused. You’re only targeting a very select group of people so, when those people go out there looking for a business in their community, you want to show up, right? But, not just show up – dominate – be seen as the obvious choice in the sea of wanna-be competitors! The world of buying continues to evolve and that is certainly as true for local purchases as it is for global purchases. Would be buyers turn to search engines on laptops and mobile devices before they look anywhere else. They not only expect to find businesses that can meet their needs, they also expect to find educational content, reviews and other signals that help them make quick decisions about what to buy and who to buy it from. No category of business is immune – B2B, B2C, large ticket services and low dollar commodities are sourced this way today. If you want to stand out and dominate for your category of business there are a handful of fundamentally local practices that you must embrace and invest time and energy in mastering. You knew I was going to tell you to create more content didn’t you. Sorry, I know this is hard, but this is how the game is played today. Creating content, however, does not mean writing more about your products and services. 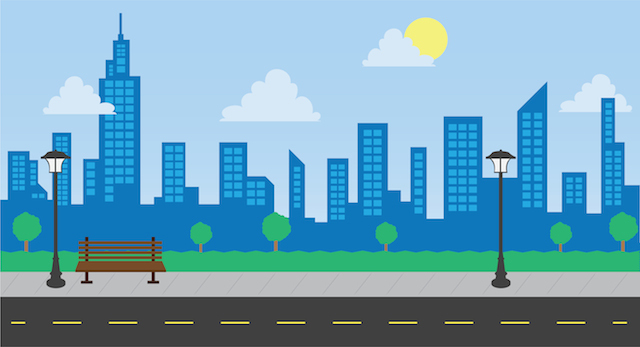 If you want to use content as a tool to drive local traffic then you have to make your content both useful and local. Yes you need to add local maps, local directions, address data using Schema format, but none of that will matter in terms of engagement if you’re not writing about things that local people want to know about. For example, if you’re a plumber you need to write about fixing leaky faucets, not about your awesome 12-point inspection system. In addition, you’ve got to think about ways to embrace the community beyond what you sell – Talk about neighborhood block parties, cover local charities and get behind the local sports teams. Some might argue how useful this kind of content seems, but remember relevance is, well, relevant. Getting involved in the community where your customers live and work has always made sense from a business standpoint and it makes sense from a content and local search standpoint as well. I did a quick search for a florist in my town. Take a look at the image below and tell me which florist stands out. Now, the fact that this florist ranks first might be one reason they stand out, but it’s hard to deny all those reviews paint a pretty compelling picture for choosing them. So, you’ve got to ask did they get reviews because they rank so highly or did they rank so highly because they have so many reviews? There is little denying that reviews play a role in local search ranking, but I think it goes beyond that. They also send a pretty heavy trust signal. I mean, would you eat a pizza joint with a bunch of whopping two star reviews? Finally, take reviews seriously as they might be one of your most important local assets. Respond to them good or bad – particularly bad. Thank your customers for providing them – send them a thank you card offline! Build them into everything you do and you just might find the mindset forces you to provide an even more review worthy experience. You’re certainly familiar with the local search directories produced by Google, Yahoo and Bing. And, we’ve already mentioned some review directories like Yelp. But, you may not be aware of the fact that there are hundreds of generic, industry-specific and local directories out there providing data points for the big search engines. Here’s a list of some of the top directories and local citation sources for the United States. 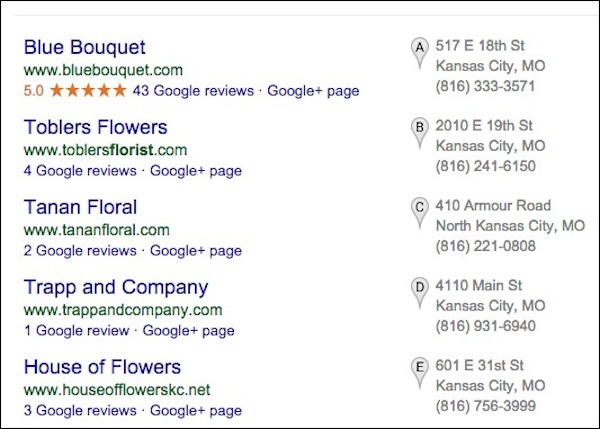 Getting your business listed, accurately, in these directories is a great way to add data points for local search. Using a handful of these directories to expand your search real estate can really pay off. When, for example, you enhance your Yelp listing and combine that with working more reviews this can become a lot like another website working for you. Additionally, if you don’t claim you listing in many of these directories you do risk the chance that someone else might. Start with GoogleMyBusiness and then move to a tool like MOZLocal to see where you stand today in terms of the major directories. Really, I love a power nap right after lunch and recommend you consider putting one in your workday, but in this case NAP stands for Name, Address, Phone. All of these directory sites I talked about above build profiles on companies by gathering data from lots of places. The problem is that if you’ve been in business for while, maybe you’ve moved once or twice, maybe you changed your phone number, there’s a good chance some of that data is wrong and that’s a problem. Search engines get nervous providing local search results that might not be accurate. Imagine how bad Google would feel if they sent you to a business location that was no longer valid. Well, I’m actually not too sure they would feel that bad for you, but they do know that bad search results mean less ad revenue, so it’s a big deal to them. The key is consistency. Whatever you have as your address on your Google+ page, replicate that across all of your directory listings as mentioned above. Finally, social media, online and offline networking play a big role in making all of this come together. The more you can acquire local links the better. Spend some time making sure you’ve claimed listing in places like your local chamber, non-profit boards and alumni directories. These are often pretty high profile links that certainly send the search engines a local message. One strategy I’ve preached for years is that of building a team of local strategic partners that you can refer your customers to when they are in need of something you don’t provide. Well, one of the ways to supplement this activity is to make sure that you and your local team are linking to and sharing each other’s local content. Don’t forget the power of local social groups. Participating in locally focused groups on networks such as LinkedIn can be another great way to find other people’s content and make mutually beneficial local connections that might start with links and sharing and blossom into something much bigger. The bottom line in all of this is that ranking highly for local search takes consistent work, but it’s not that hard or technical for the majority of small local business out there.